Granite is a fiery rock which is normally found in the environment and it is widely applied in the construction purposes. Usually, granites are found in large pieces and it is very hard also. So, it is broken into small pieces for using. Because, this natural rock has been used often for different purposes. There are different kinds of granite. And Paradiso classic granite is one of the most accepted choices all over the globe. This particular granite is quarried from India. But it is available throughout the world. 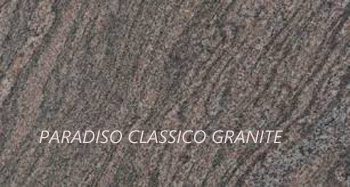 Paradiso classic is medium grained granite. The background color of this granite is light purple and there are light blue waves on it. This granite is also known as Paradiso classico. Paradisio classic granite is widely using in both interior and exterior purposes. Because the sober color of this granite has made itself in using to the home décor and in offices also. 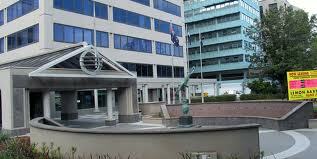 The color of Paradiso classic granite offers a classy look to the offices. This granite is extensively used in the following purposes. Like kitchen tops, worktops, flooring, fireplace etc. If you want to renovate the Paradiso classic granite area, you require removing the granite tiles from wall or floor. This is not a difficult task. But, if you want to save the tiles for reusing, then you must be careful about it. Otherwise, the tiles may be broken. Here are some methods for removing the tiles without any destruction. If you do not take enough care for removing the tile, then it can make harm the tile and the underlayment. Make a use of razor knife for cutting the underlayment which is adjacent to the tile area. Then, take a hammer and strike out the tile with it. Now hit the tile with the hammer. Then take away the pieces of underlayment from the frame of the wall. Put on the safety glasses when you are doing the job. Otherwise, the remains of the tiles or underlayment can fly on. If you removing the Paradiso classic granite tiles which are around your shower or bathtub, then protect the area before you are starting the task. Take away one row of the tiles in both directions from the central point of the floor. Now strike the tiles by the hammer and remove the tiles. Clean up the mixture of cement and lime from the back side of the broken tiles. After that, take a buzz saw for cutting the underlayment. Otherwise, the subfloor may be damaged. If you are going to remove the Paradiso classic granite tiles from a large space, then it is better to rent out machine which will do this job in short time. These automotive machines have the hydraulic system which takes the tiles away fast. Granite is a long-lasting building material. So, your proper concern can enhance its beauty for long periods.